The US has imposed sanctions against five companies it accuses of links to Iran’s ballistic missile program. The sanctions freeze any asset the companies hold in the US, and prohibit Americans from dealing with them with more punitive measures laying ahead in response to the Islamic Republic’s suppression of anti-government protests. Treasury Department officials blamed Iran’s Islamic Revolutionary Guard Corps and other parts of the government for funding proxies across the Middle East despite the needs of the Iranian people at home. They linked the move to the recent protests sparked by Iran’s economic problems. 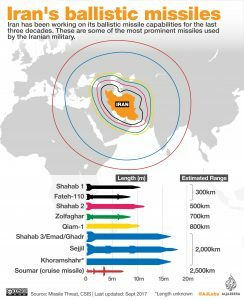 “These sanctions target key entities involved in Iran’s ballistic missile program, which the Iranian regime prioritizes over the economic well-being of the Iranian people,” the statement said. 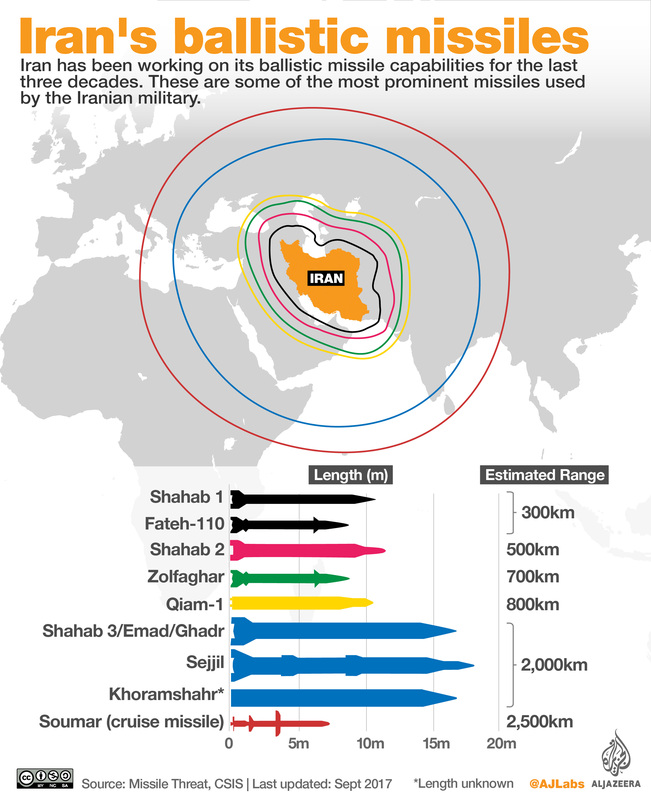 The five entities being targeted are subsidiaries of Shahid Bakeri Industrial Group, part of the Iranian Defense Ministry. Shahid is already under US sanctions. The new designations ensure its subsidiaries are punished, too. Last month, US Ambassador to the UN Nikki Haley showed reporters missile parts with logos suggesting they were manufactured by Shahid. Haley said the fragments were recovered from missiles launched at Saudi Arabia by Iran-backed Houthi rebels in Yemen. Written by: Jaber Ali on January 5, 2018. Posted by Jaber Ali on Jan 5 2018. Filed under Gulf News, Headlines, World News. You can follow any responses to this entry through the RSS 2.0. Both comments and pings are currently closed.